I don’t think I updated the umpires file that I included with my Retrosheet Scorecard for several years. I realized this when I started scoring games from this season, and I found that many of the umpires working the games weren’t listed within my file. 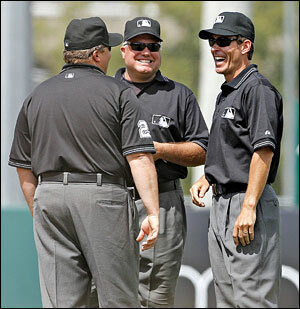 So, I updated the file from: http://mlb.mlb.com/mlb/official_info/umpires/roster.jsp. I’ll pack it into the latest versions of the zip files. « Game 22, 23, 24 – Reds Weekend, Where Did the Bats Go?